How many of you remember the old WebAccess interface that came with classic ESX 2.0? I know I sure do! It was a very useful interface that allowed administrators to easily manage their ESX hosts through a web browser that provided basic VM creation, troubleshooting and most importantly initial bootstrap configurations for greenfield deployments where a vCenter Server may not be available yet. I have always felt that having a simple web interface that customers can just point their browser to an ESX(i) host after an installation would be the most intuitive from a user experience standpoint. About a year ago, I was involved in a project with two VMware Engineers, Kevin Christopher and Jehad Affoneh, when we worked on an early prototype of an optimized Embedded Host Client for ESXi. We socialized the prototype across many different teams at VMware and the overwhelming feedback was super positive. Earlier this year, with the help of the ESXi PM and the Engineering team, they decided to take the concept of the prototype to the next level and really turn it into something that could really be used by customers. UPDATE: (08/25/15) - v2 has just been released, be sure to take a look at this blog post for more details. Once the VIB is installed, which does not require a system reboot, you simply just point your web browser to the following URL: https://[ESXI-HOST]/ui and login with an administrator account. Step 4 - Open a browser to the following URL: https://[ESXI-HOST]/ui/ and note the additional trailing "slash" at the end of the URL. This is mandatory else the Embedded Host Client page will not properly load. Note: This only applies to ESXi 6.0 hosts which have been upgraded from ESXi 5.x or pre-ESXi 5.5 Update 3 systems. You may also noticed translation errors when running the Fling on pre-ESXi 6.0, this is expected. For the best experience, we recommend using ESXi 6.0 or waiting until ESXi 5.5 Update 3 is released which will resolve this problem. Having spent the last couple of months working with both of the Engineers: Etienne Le Sueur and George Estebe, I was able to help provide feedback and usability enhancements and I think you will really like what is there in this first release. I do want to stress that this is in no way, shape or form a comprehensive replacement for the existing vSphere C# Client functionality, but I think it could be a good start if the feedback from customers is positive. I really hope you do give this a try in your lab environment and please let us know what features and capabilities we should add next. There is a variety of way you can provide feedback by leaving a comment on this blog post, leaving a comment on the Flings page. Big thanks goes out to both George and Etienne who took on the challenge and did a fantastic job on the Fling! Finally! So glad to see this one publically available. This is a great first step towards a distributed vCenter 🙂 .. Pretty cool on its own as well .. I use exsi 5.5 with xponology, could you tell me the procedure to use html5 without upgrading to version 6 ? Is there for the version 6 a free license like for the 5.5 for a private use ? Awesome , thanks for sharing! 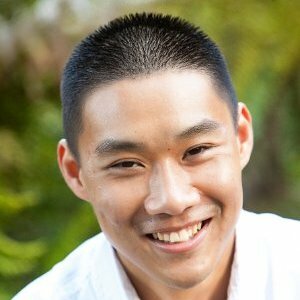 This is awesome fling project, very interested. Looks great, quick question, the Task Pane now has filter icons, are these coming to the standard vsphere 6 web client as well? Also any chance these support exclusion filters? Re filters in vSphere client, probably. This looks wonderful! Please be sure to do a blog post when it is available for the free hypervisor, which many of us use for some of our projects. Many congratulations! I can’t wait to give it a try. Great, would be awesome if this would replace the c# Client in the near future…. Uhhhhh, is the /etc/vmware/rhttpproxy/endpoints.conf immutable somehow? It won’t let me write to it as root with vi, even if I grant write permissions to user/group/other. I copied it and replaced it with the copied file and it worked. Wow, great job William, George and Etienne! I hope to see this fling in the production ESXi build some day. Oh man, that’s what I’ve been looking for! 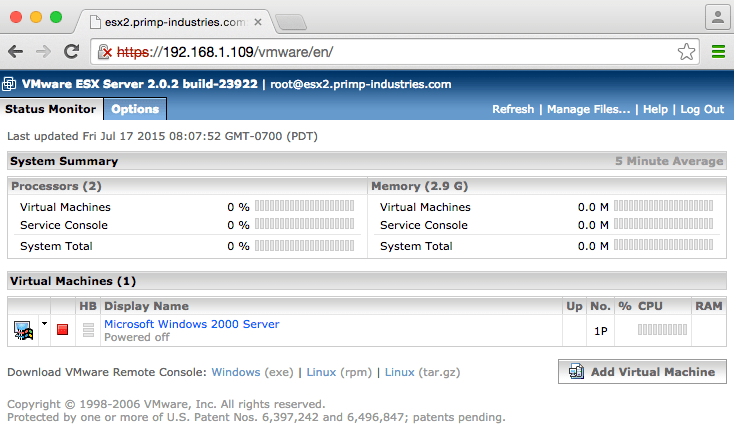 If ONLY it supported ESXi free hypervisor… soon I hope! That is pretty nice! How big is the VIB? How much space needed to run it? Thx! The compressed VIB is about 2M. Extracted/uncompressed it’s about 3M. have you found any workaround to correct this erros, i’m having the same one. Anyone know if there is a way to prevent this things from automatically logging you out? Unfortunately not at this stage. I suppose a way to disable it or alter the timeout would be useful. Noted! Really appreciate what you guys have done. I’ve been wanting something like this for the longest time, mainly as a way to manage my home esxi host from my mac but the benefits go beyond that. VMWare Fusion helped quite a bit with console access but beyond that it was extremely limited. Any idea if this will continue to be developed or possibly just a feature included in future builds of ESXi? Nice one. Whether the fling VIB has to be installed manually nor will it come as part of patch update through vsphere update manager ? Hi Venkatesh, we haven’t confirmed yet how the host client will be officially distributed. It’s likely it will come as part of an update release though. 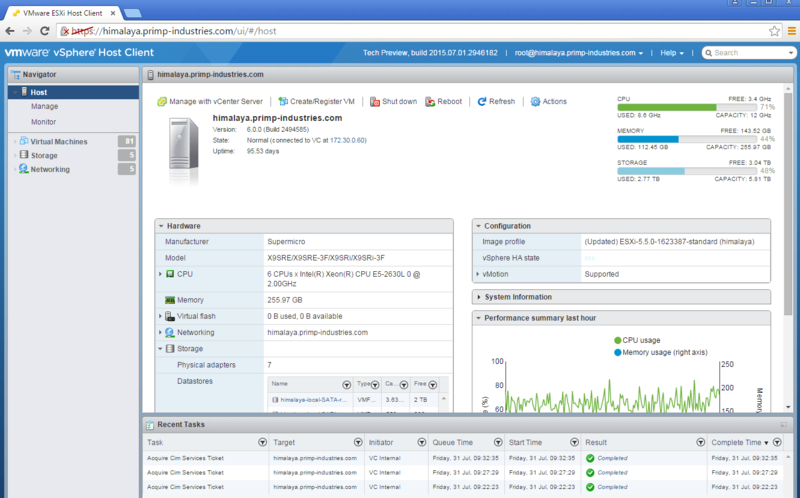 Awesome – just installed it on 3 esx hosts which were upgraded from 5.5,u2 ; works perfectly ! Am I wrong or is the link now dead? it seems that the url https://labs.vmware.com/flings is not open to the public as i get an access denied error. Try delete all your *.vmware.com cookies; that worked for me. I initially thought it was my workplace somehow blocking it. I’m getting a 503 service unavailable error (ESXi 5.5) connecting to /ui/ after a hard reboot of the server. All services for normal access, vCenter etc, are working fine. I’ve done a remove and install of the .vib to no avail. Any thoughts on what may have gone wrong and what to check? Did you take a look at the workaround for ESXi 5.5.x if you’re not using a fresh install of 5.5u3? Is is possible to non root login to esxi? Unfortunately, we don’t yet have support for non-root users. Thanks for this, William. The workaround is also required if you upgrade a host to ESXi 6.0 Update 2 with the new official Vmware Host Client. Thanks William, but I have a problem with ui. Installation was fine but I can’t do anything, when I select an action, nothing append. PS: I have already check for the workaround. Hi there, what type of license do you have assigned to this host? OK, yes, unfortunately, for 5.5, embedded host client will not allow you to make changes when the Free license is assigned. We have fixed this issue in the 6.0 U2 release, and we will be fixing the issue in the next patch release of 5.5. For now, you’ll just have to hang tight I’m afraid, or update to 6.0 U2. How can I make this change on 200 hosts without logging into them individually? 1. If you use VMware Update Manager (VUM) you can add the host client offline bundle to the baseline and it will get added to your hosts during remediation. I was getting an error ” wss://10.10.10.30/ticket/xxxxx” whenever I tried to open the console. After adding the above line and restarting rhttpproxy it worked fine. This esxi host was upgraded to 6.0 from 5.1. Fresh install of ESXi 6.0 U2 today on a Mac Mini 2014; every time I try to access the Console using the Embedded Host Client it just says “Failed to connect”. Can connect fine through Fusion Pro on my Mac to the ESXi VM and control it. Anyone have any ideas what I have done wrong? Can you post the exact error message you’re seeing? Im not sure if I get it correctly but seems like I cannot find rhttpproxy in my ESXi. Im running a version 5.0.0. WHAT’S THE POINT of releasing useless ‘not even alpha’ software .. Why drop earlier functionality.